Welcome to the offical web site of GILI KEREN, a clown and circus artist. After learning theater he created “The Gili Keren Circus show” and went on tour around the globe.He had so much fun in festivals and events that he created a new show “I believe I can fly” still kicking and rocking now. 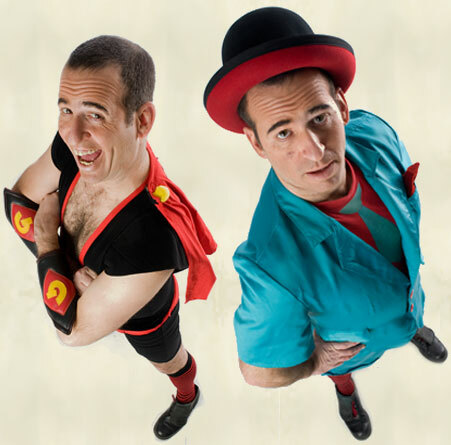 In 2007 he meat his partner and wife KARIN, and together they are… “Duo ComicCasa”. Preforming in circus’s, cabarets, galas ,corporate events and street theater. Available in English German and Hebrew.